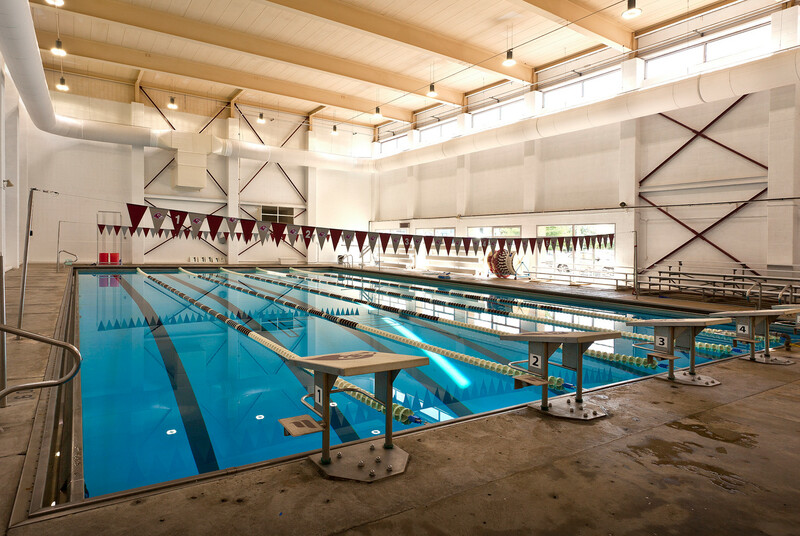 We have designed and managed various projects on Fairmont State University’s Campus. 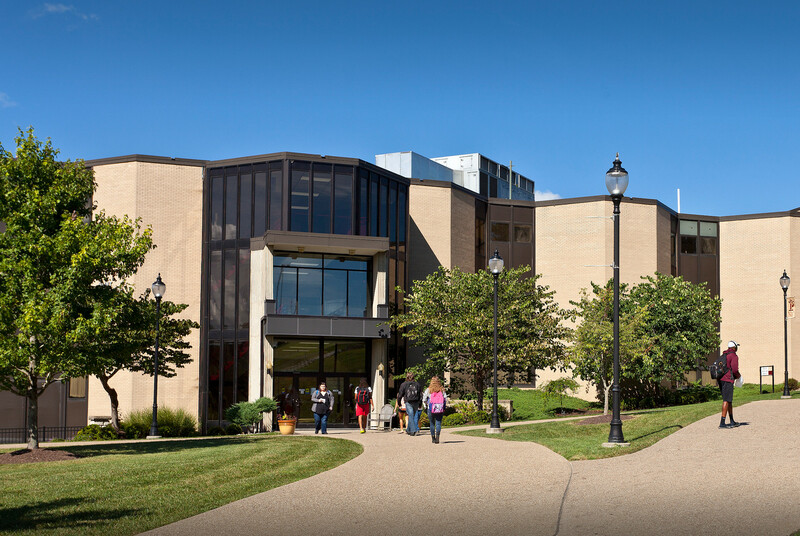 Projects include the Ruth Ann Musick Library Elevator Tower, Hunt Haught Hall HVAC and Stairway renovation, Feaster Center Pool HVAC renovation, Joe Retton Arena renovation, Hardway Hall sidewalks and railings, and the Starbucks expansion in Ruth Ann Musick Library. The design intent of each project was to incorporate the spirit and existing aesthetic of the campus into the design. 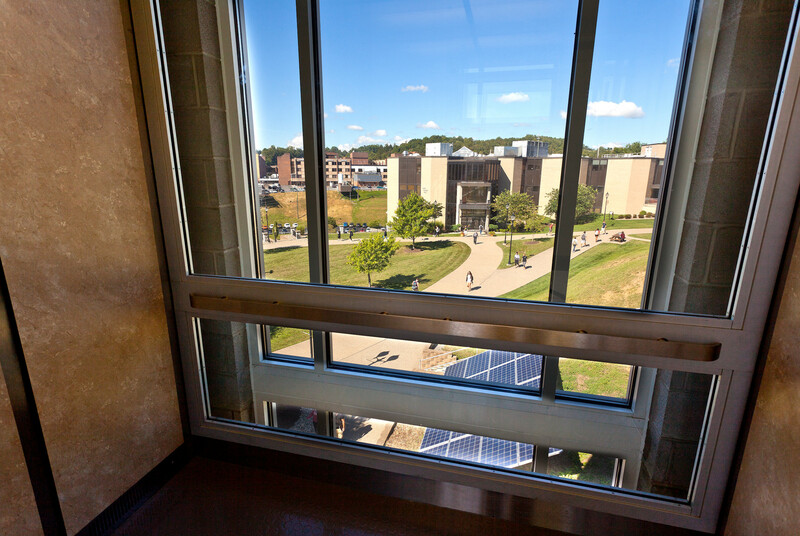 The Ruth Ann Musick Elevator Tower is a 600 sq ft elevator tower adjoining the library on Fairmont State University’s campus. The structure is an enclosed two-stop elevator with lobby spaces and includes 340 sq ft of canopy space on the lower level and a 40 foot walkway that connects the upper level with the parking lot. The elevator tower fits within its environment by complementing the existing library and it now serves as an ADA access point for the entire campus. The Joe Retton Arena is a gymnasium that was renovated for Fairmont State University Athletics. Renovations included a low profile high performance floor, an ungraded lighting system, new telecommunication system, and new metro seating bleachers on the lower level and new bench seating above. The Starbucks in the Ruth Ann Musick Library has continued to grow in the campus community. We redesigned the space to be more functional for the Starbucks employees and customers. Renovations included new cabinetry, counter tops, lockable storage, flooring, lighting plumbing, and an overall improved appearance.